The Static Fire Test of Falcon Heavy’s 27 Merlin 1D engines was treated with the attention this major milestone for the tri-core rocket deserved, including official video posted by SpaceX. Friday’s test was classed as a standard pre-flight testing operation without much fanfare by SpaceX, only providing an update after the successful completion of the brief hold-down firing of Falcon’s nine previously flown Merlin 1D engines. The two tests also showcase the difference experience with a vehicle and ground system makes – LC-39A and Falcon Heavy, a first-time combination, needed well over a week from rollout to get into a posture for the Static Fire due to teething problems with the rocket and primarily the pad. SLC-40 and Falcon 9 managed to get to the test on the very first attempt, allowing operations to be streamlined as is required for SpaceX to keep up its planned Falcon 9 cadence from Florida while LC-39A is occupied by the triple core beast. 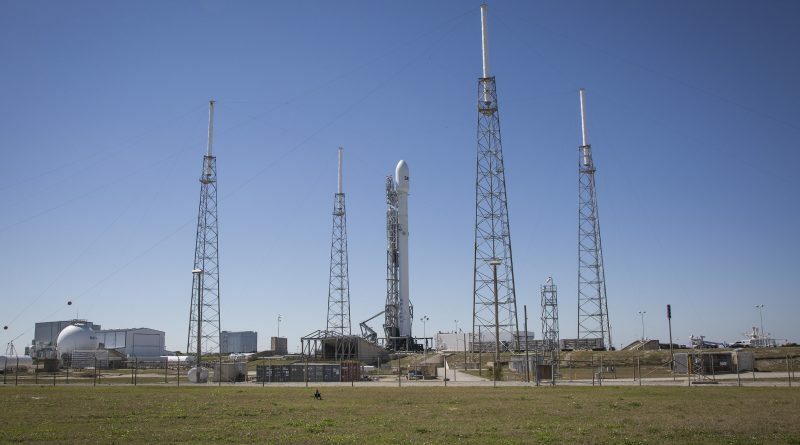 Per the current plan, SpaceX is working toward launch of Falcon 9 from SLC-40 with the SES 16 / GovSat satellite on Tuesday, January 30 during a 2+ hour window opening at 21:25 UTC. 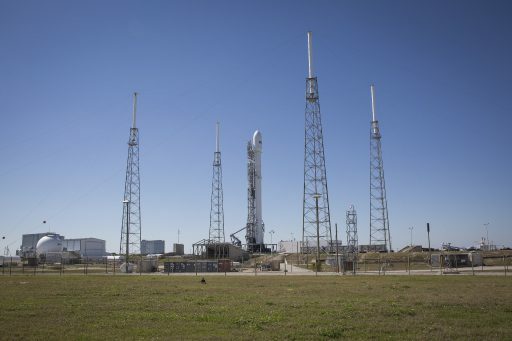 Focus would then move back to the Falcon Heavy rocket which – pending a number of reviews to be completed over the coming days – has received a No-Earlier-Than launch target of February 6 during a three-hour window opening at 18:30 UTC. 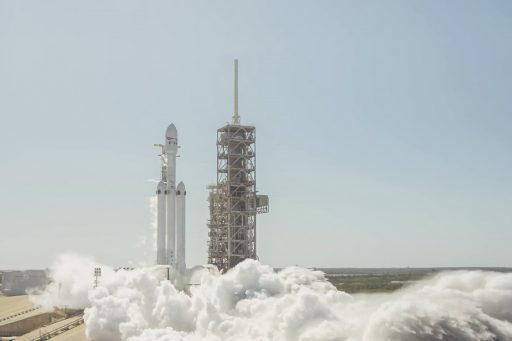 February 7 serves as a backup for Falcon Heavy, but as shown during the rocket’s lengthy road to the launch pad & then its Static Fire, dates should be taken with a grain of salt until final approvals are given. Keeping busy at their Cape Canaveral location, SpaceX rolled the SES 16 launch vehicle out to SLC-40 on Thursday, just one day after Falcon Heavy’s Static Fire. By Friday, Falcon 9 was placed in its vertical position to enter countdown operations, including a full 70-minute tanking sequence to load both stages with over 500 metric tons of sub-cooled Liquid Oxygen and chilled Rocket Propellant 1, plus Helium pressurant to give all onboard systems a workout – including those of the second stage that is not actively involved in the hot fire test of the booster. The Static Fire Test occurred around mid-day local time on Friday, 17 UTC and appeared to meet the longer test duration of seven seconds selected for flight-proven boosters. Brand-new boosters typically only fire for 3.5 seconds to verify the engines ignite properly and reach stable conditions. Previously flown stages on the other hand, do not undergo re-acceptance testing at McGregor after refurbishment and instead have a longer Static Fire duration to collect additional performance data for steady-state operation. 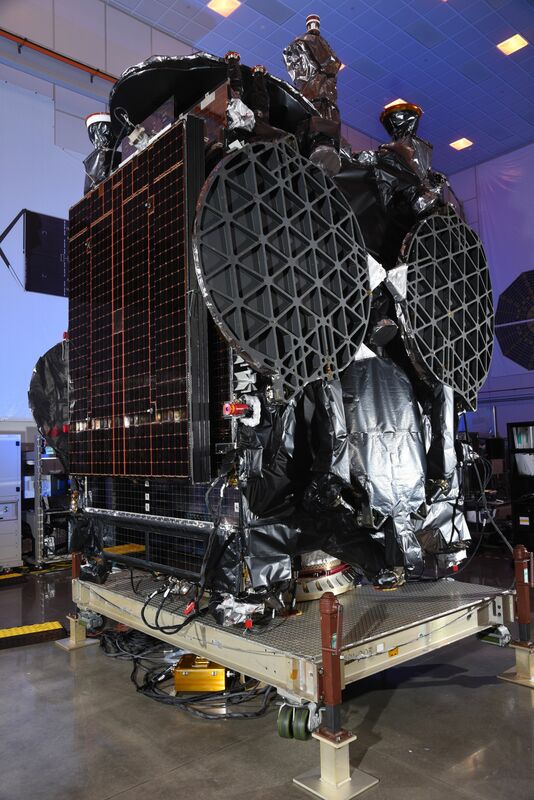 With the Static Fire out of the way, Falcon 9 was set to return to its pad-side HIF where it will meet its payload, the SES 16 / GovSat spacecraft built by Orbital ATK based on the new GEOStar-3 satellite bus for operation by LuxGovSat, a joint venture between commercial operator SES and the Government of Luxembourg. This will be the third SES satellite riding on a flight-proven Falcon 9 rocket: SES 10 became the first Falcon 9 re-use mission in March 2017 and SES 11 followed in November. SES has been one of SpaceX’s most loyal customers since the early days, supporting the company’s efforts to reduce the cost access to space via re-usability. 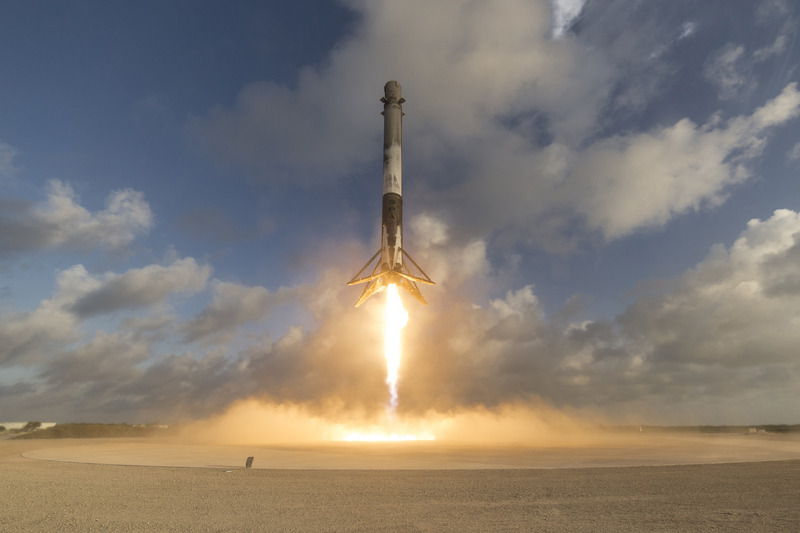 The Luxembourg-based company took a leap of faith when placing their SES 8 satellite onto the very first Geotransfer mission of the Falcon 9 v1.1 rocket in 2013 after the vehicle had only made one prior flight to Low Earth Orbit. 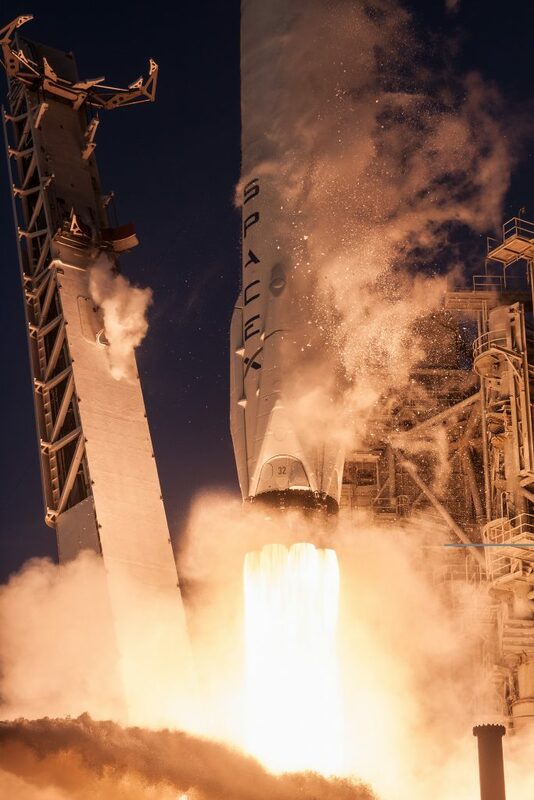 The launch of SES 9 in 2016 marked the first Geotransfer mission for the upgraded Falcon 9 FT rocket and SES had expressed interest in riding on re-use missions from the very beginning. The SES 16 satellite is flying on Falcon 9 B1032 that completed the classified NROL-76 mission in May – a Low Earth Orbit delivery with plenty of excess performance, creating a very benign environment for the booster during its return to Florida. Paired with a brand new second stage, B1032 will now be tasked with a high-energy Geotransfer delivery in expendable mode as SpaceX has no desire in recovering the Block 3 booster which does not yet have the provisions needed for multiple re-flight missions – set to debut on the Falcon 9 Block 5 in the coming months. SpaceX – as shown on the Iridium-4 mission in December that also flew expendable – is likely to conduct atmospheric flight testing with the booster after separation, using the last minutes of its life to collect data for flight regimes that may not be available for operational return missions, generating additional knowledge on flight dynamics for further improvement of Falcon’s flight profiles. The SES 16 mission is the second SpaceX launch in 2018, coming after the January 8 mission with the enigmatic Zuma spacecraft which SpaceX still maintains to have been a perfectly successful mission from a launch vehicle standpoint – amid reports that a botched separation using a Northrop-Grumman-built payload adapter led to the spacecraft re-entering with the rocket’s second stage. Overall, SpaceX is shooting for 30 missions this year and the pace will pick up noticeably as three Falcon 9 missions, two GTO flights from the Cape and the PAZ mission from Vandenberg, are expected in the next three weeks, plus the long-awaited maiden launch of Falcon Heavy. For telecommunications provider SES, Tuesday’s launch will come right on the heels of their SES 14 satellite heading into orbit atop an Ariane 5 rocket. The company will be hoping for a smoother ride on Falcon 9 after SES 14 was lifted into a non-compliant orbit on Thursday when the Ariane 5 launch vehicle, for reasons yet to be explained, flew to an improper launch azimuth – complicating the transfer of SES 14 to its operational location. SES 16 / GovSat has been commissioned as a high-capacity communications satellite for government/defence and institutional use, operating in the military Ka- and X-Band frequency bands and offering a combination of wide-beam anchor beams and fully steerable high-power beams to direct coverage where it is needed within the framework of military activities. A large portion of the satellite’s capacity has been reserved by the Government of Luxembourg under its obligations with NATO while the remaining capacity will be made available to government and institutional customers requiring encrypted & jam-proof communications. GovSat is only the second GEOStar-3 satellite to be delivered to orbit, following the Al Yah 3 satellite that launched atop the Ariane 5 VA241 mission. It will operate for at least 15 years from an orbital location at 21.5°E from where it can deliver an anchor beam across Europe to interconnect government institutions, a global beam covering the entirety of Europe, Africa & the Middle East plus vast stretches of the Atlantic and Indian Oceans for maritime operations support; steerable spot beams for data-intensive applications can be directed anywhere within the satellite’s footprint.